The Glen-Ed Soccer Club will be holding a 1 hour kick around sessions. Its not mandatory nor will training be performed. 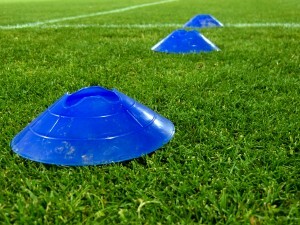 It is for the players to just play soccer in small sided games (3v3,4v4,5v5) with no goalies. All players are invited. If you know players that want to play but did not register, please send them this email and suggest they attend. 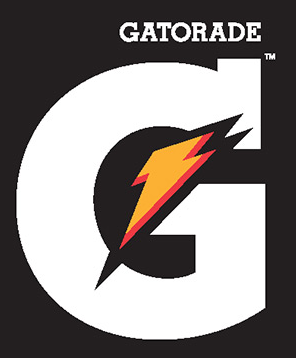 Required Equipment: Shin Guards, water, grey or white shirt and a ball. While the players play, the parents will have the chance to ask questions and meet potential coaches and the Glen Ed leadership. No need to let us know you are attending, just show up. If inclement weather should occur, we will post a cancellation notice on the website by 4:30 pm. 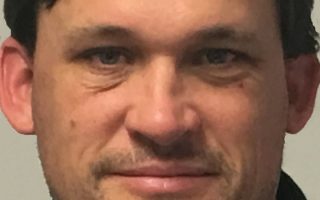 December 22, 2016 (Edwardsville, Illinois) — John Van Buskirk will assume the duties of Managing Director of Player and Coach Development. John joins Glen-Ed with a tremendous professional and youth background. His 20+ year career includes playing and coaching professionally internationally in the Bundesliga at KFC Uerdingen and Kickers Emden. He made a total of 273 professional Bundesliga football appearances and scored 68 goals. John played college soccer at Indiana University where his team was nationally ranked #1 and played in a national championship. Over the last several years he coached at both University of Missouri-St Louis and McKendree University. At Granite City High School, John was a standout where he won two state championships, selected to the All State IHSA team, Gatorade All American and team captain during his senior year. 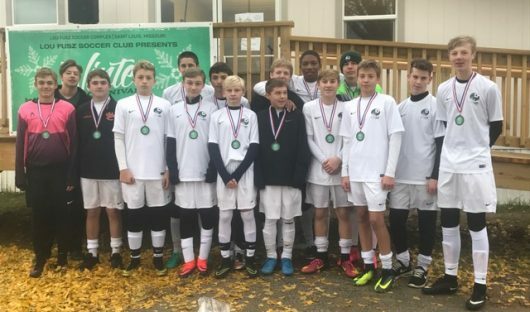 Congratulations to the 01/02 Glen-Ed United Gold for their runner up medals at the Lou Fusz Winter Carnival Tournament. 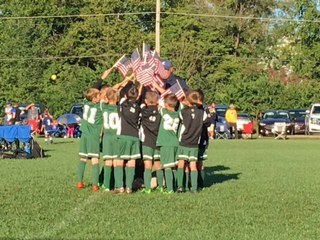 Coach Jason Blaskie led his 07/08 Scorpions in an impromptu 9/11 tribute before their first game in the September 11 tournament. They were the ONLY team to do a tribute! 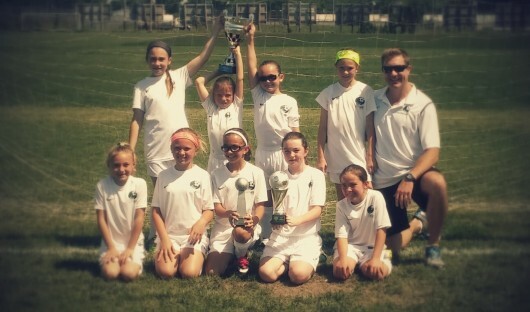 They went on to WIN both games that day and finish the tournament in 3rd place. Glen-Ed Tigers Green from the Missouri Rush Mother's Day Classic. Finalists in Azul division. 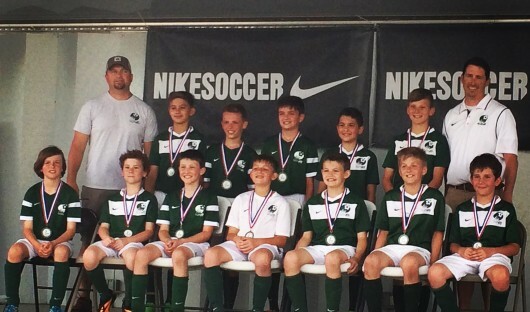 They won in a PK shoot-out during the semi-finals to advance to the finals where we lost 3-2 in a very good game. 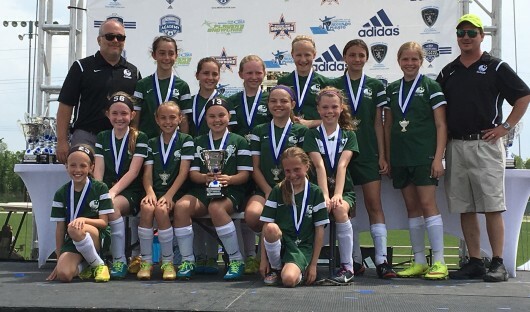 Congratulations to the Glen-Ed 04/05 Revolution Green for a Lou Fusz Finalist! 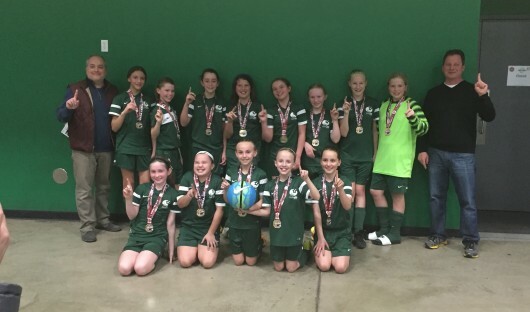 Congratulations to the Glen-Ed U11G Tigers for a CHAMPIONSHIP in SLYSA Division 4 for the Fall 2015 season! 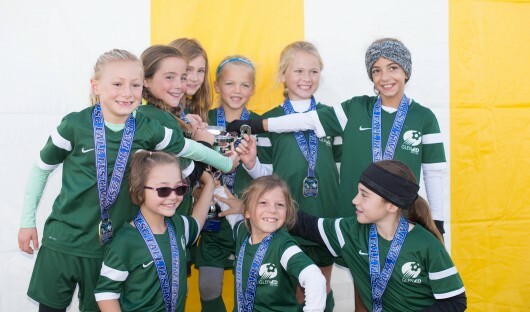 Glen-Ed U9 Cougars Holding all their 2016 HARDWARE! Come Join Our Club And See Why We're Different! Glen-Ed currently has 7 high school boys teams. There are a few spots open on most teams and multiple open spots in the 02/03 birthyear groups. Although not mandatory, players are encouraged to attend both tryout sessions. As we have in past years, we use the GOTSOCCER online registration for tryouts. 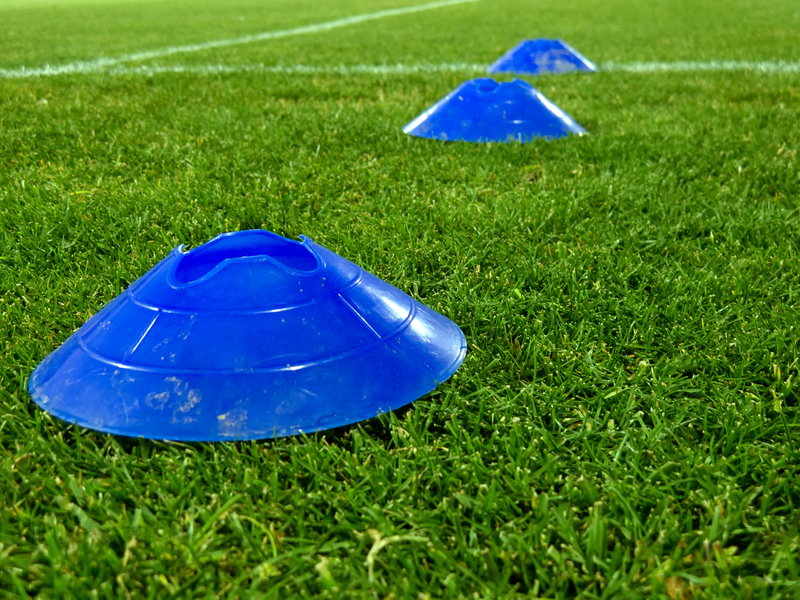 Any player that registered for the June tryouts does not need to re-register for the supplemental tryout sessions. You must use your player individual account. DO NOT USE YOUR FAMILY ACCOUNT. ALL EXISTING GLEN-ED PLAYERS have a GotSoccer account. If you are new to Glen-Ed and don’t already have a GotSoccer account from a previous club, you will need to create one using the link below. GotSoccer accounts are free but if you think you may have had one in the past, please use the “Player password lookup” feature outlined below to keep all of your existing information from your previous individual player account. 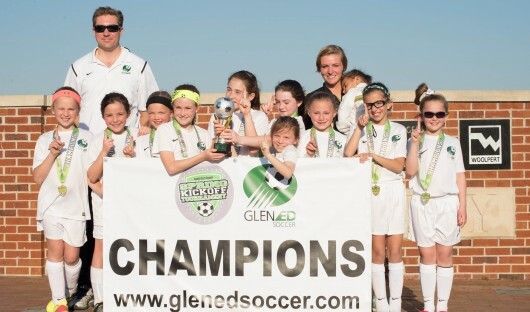 The Glen-Ed Sports Association was created to assist players to ‘Pursue the Dream’ by offering quality select sports participation in soccer, basketball, volleyball and softball at an affordable price. The Glen-Ed Sports Association focuses on individual and team development through the improvement of skill, knowledge, teamwork and self-esteem. The club is a Federally Tax Exempt 501(c)(3) Charitable Organization committed to helping players in the St. Louis and Metro East area. If you would like to make a tax deductible gift to support our mission, please MAKE A TAX DEDUCTIBLE DONATION today. Our Tax identification # is 45-1771660. 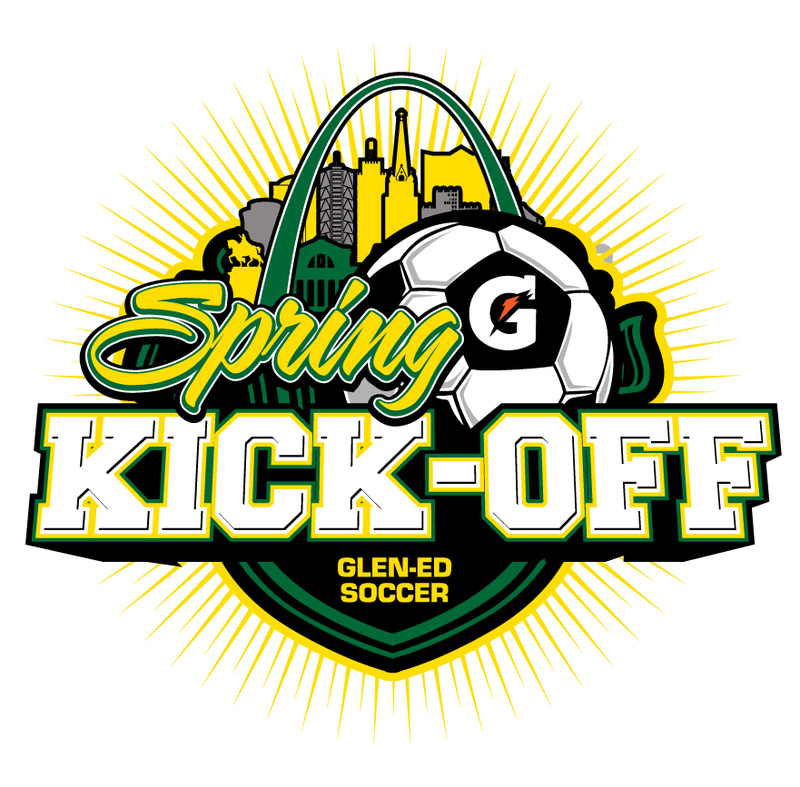 Welcome to the 2019 Glen-Ed Spring Kick-Off. 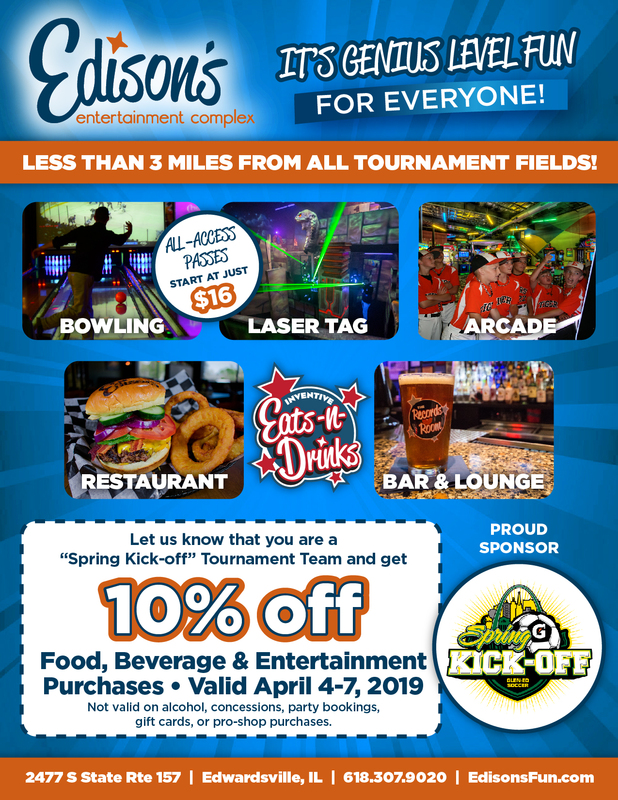 Thank you for selecting our tournament for your team to participate. It is our pleasure to welcome you to Edwardsville, IL. INCLEMENT WEATHER We expect a good weekend except for some rain Thursday and possibly Sunday afternoon. All notifications of weather impacts will be given on our twitter feed @glenedsoccer. We will update important tournament information including pictures of Champions and Finalist on Championship Sunday. AWARDS Awards will be presented at the Championship game or final group game is played. 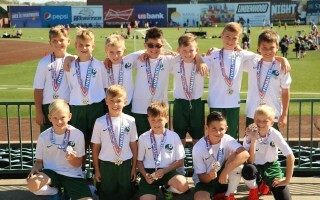 U8 brackets get participation medals. U9-U15 trophies are presented to the champions and medals are presented to the Champions and Finalists. U16-U19 are played colleges showcase style and no trophies or medals presented. PARKING-IMPORTANT: please make sure your parents know to allow at least 20 minutes for parking. Some of the locations, fill up quite quickly and will require them to walks of 5 minutes. There is handicap parking. Parking is complimentary this weekend. 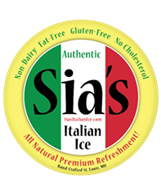 CONCESSIONS Concessions will be available at the the Glen-Ed Grass and SIUE Rec Fields. This includes food, snacks, breakfast muffins and cold/hot drinks. We wish every team the best of luck and safe travels. We will see you this weekend. 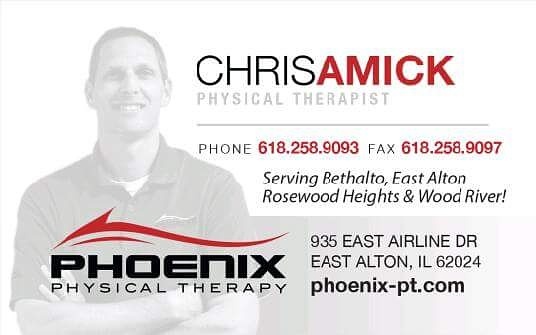 Thanks to the following local businesses for graciously sponsoring our tournament. 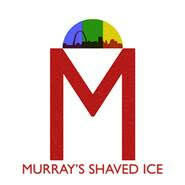 We hope that in return you show your support by visiting their establishment. 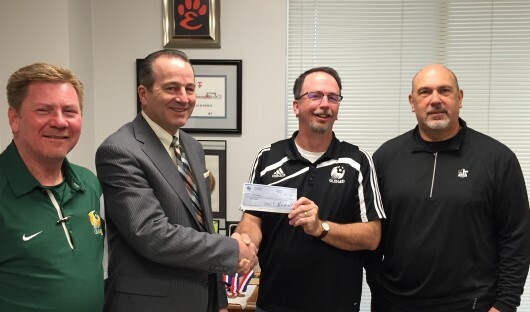 Also BIG thanks to Metro-East Lutheran High School for the use of their soccer fields. Please support them at their Concession Stand at the MELHS Soccer Fields. They keep ALL proceeds from that stand. CANCELLED - ALL OF TONIGHT'S TEAM TRAINING SESSIONS.Â EHS not available due to re-schedule of HS girls games and SIUE fields are too wet.